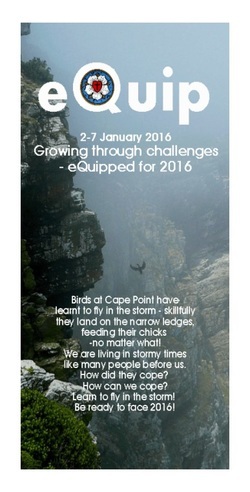 eQuip - Retreat and Encouragement for the new year. 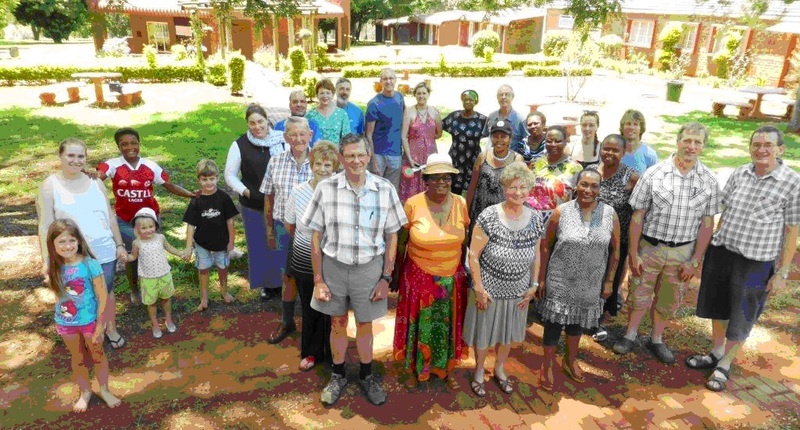 The 2016 eQuip retreat was conducted at Red Acres in Pietermaritzburg from 2-7 January 2016. The participants were of different age groups, from pre-school to pensioners of different denominations. They all enjoyed the tranquillity of the place as it promoted and enabled one to meditate, grow in faith and come nearer to God. Among the facilitators we were honoured to have Sister Happiness from Kenosis who shared with us her journey of calling, how to respond to your call, how to empty yourself and do what you are called to do hence she was able to overcome various obstacles through God’s grace. Different methods of teaching were used such as group discussions, role play and films etc. the following content was covered. 1. Dealing with controversies in relation to tension in all dimensions e.g. church, community and society and contradictions in the Bible. The value of the prophets in our life and country was discussed as in the Bible. 2. Where are you being a Christian in 2016 with all personal societal and political tensions conflict and challenge? Three of the eQuip participants were part of the original June 16, 1976 march. We heard the story of the run up to the event, as well as the years of torture and imprisonment that they then encountered, and how they had to cope with this. On that day the Mandela Capture Site and Howick Falls were visited. 3.The history of Petrus Valdes and Martin Luther were covered. Valdes focussed on studying the Bible and the role of lay people also in preaching. We realised that we continuously need to avoid falling prey to teachings of prosperity through giving money to “buy” God. The emphasis is on having faith, loving God and to love one another. We need to trust God as the provider who provides abundantly for all through His grace.